We build close relationships with our construction partners. No type of commercial job is too big or small. Get in touch for more details on commercial projects. Let our team walk you through the process from start to finish. We aim to deliver a completely transparent and affordable scaffolding service. Our scaffolding team can erect scaffolding for all building projects, such as extensions, loft conversions, roofing, painting, etc. Need access fast? Get in touch with our scaffolders and request your hassle free quote and site visit. 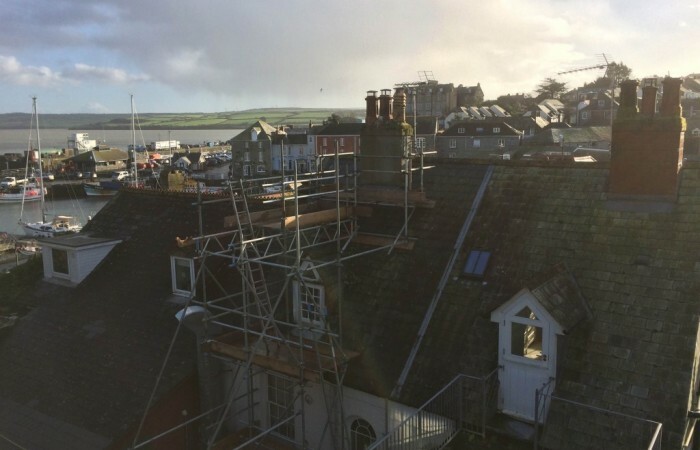 Keep your project completely dry and safe from the harsh Cornish weather using our temporary roof scaffolding services. We're fully trained and qualified to undertake all aspects of work in public areas, spaces and buildings. No matter the size of the space, our team can help install bird cage scaffolds to give you protection and full access to your project. If you are looking for scaffolding services in Newquay and Cornwall, we can offer all aspects of scaffolding and platform hire.